Cleveland’s Herschman Architects were responsible for the redesign in which they commissioned Brand Décor for the interior elements. Brand Décor specializes in architectural and commercials interiors and assisted the contemporary redesign by providing field verifications, print production, fabrication and oversaw installation. To create the various retail and wayfinding sign displays, the designers chose a variety of substrates including digitally printed wall paper used as column covers and an over 20-foot “All for One” mural. 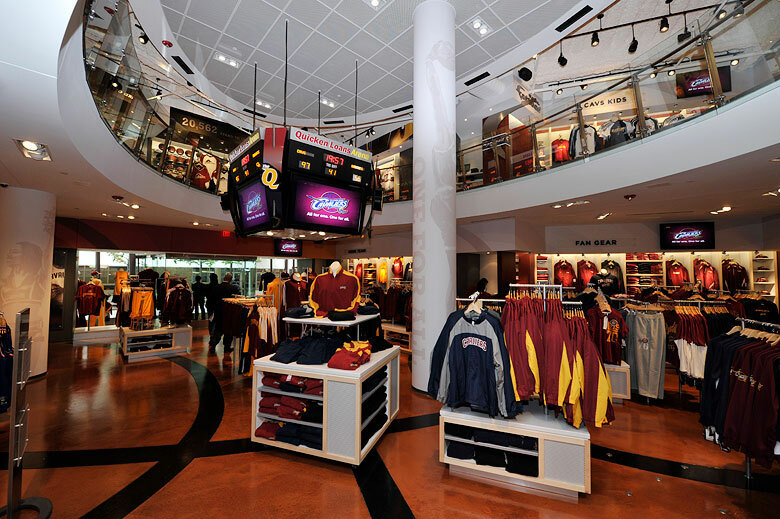 The new store design creates an immersive retail experience for the basketball enthusiasts with themed elements throughout such as the replica scoreboard that hangs from the ceiling. 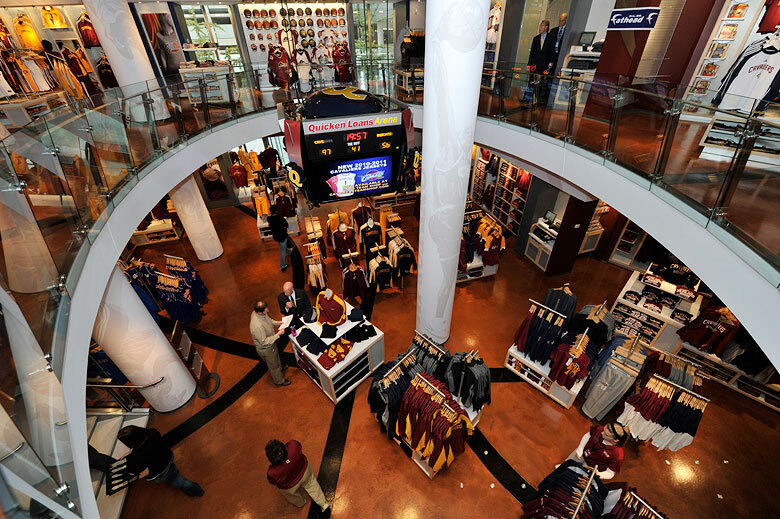 Utilizing the latest point-of-sale (POS) technology, customers are able to purchase items from anywhere in the store, furthering the modern aesthetic of the flagship store. Dibond aluminum composite is one of several 3A Composites USA trusted brands. 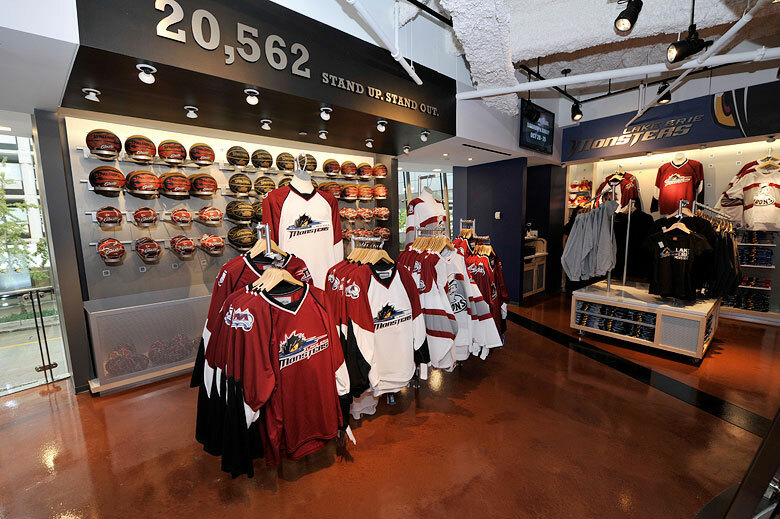 3A Composites manufacturers rigid substrates used in retail and a variety of corporate identity markets. Dibond is an aluminum composite material, an industry leader renowned for its strength, lightweight, and longevity. 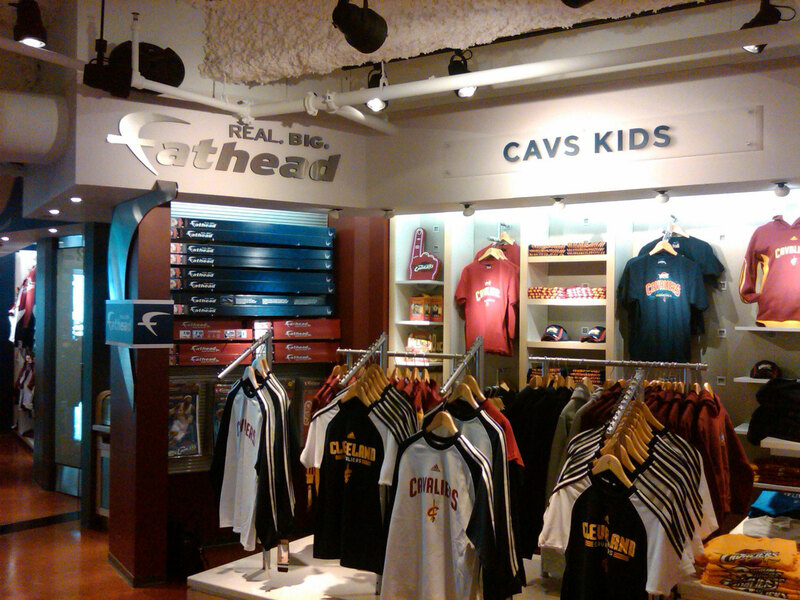 For the Cavaliers Team Shop, the Brushed Dibond signage provides a modern aesthetic complementing the store’s enticing contemporary design.